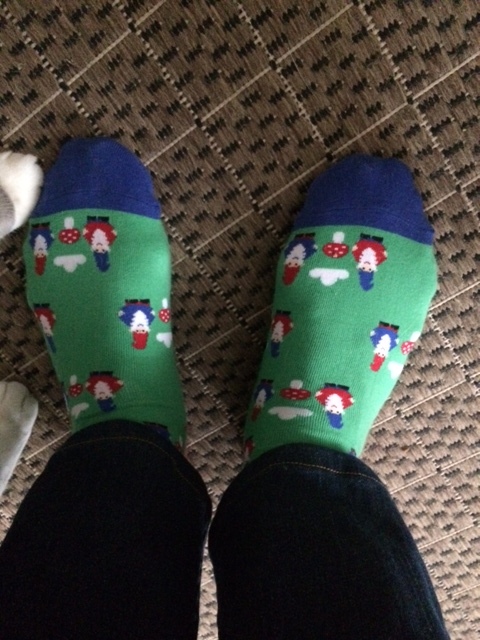 2) I’m rockin’ my gnome socks, a snow day tradition (also see below w/cameo by Silvio the cat). If this street looks a little familiar, it’s because it’s the street where the scene from Season 1 of Damages was shot where the crazy cop-turned-bad chases David’s sister, Katie, intending to kill her to keep her silent about what she saw in Miami, but then she turns around and confronts him and he chickens out. I know, I watch too much TV. 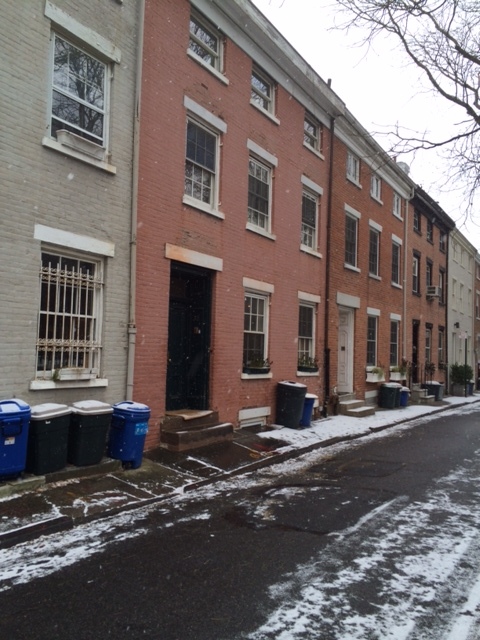 But this street’s 2 blocks away from my house, and I think about Arthur Frobisher every time I walk past it.